I am interested in how science can be more useful for people, policy, and decision-making. I am also interested exploring and building upon theories related to transformation and resilience so that they can help us understand how systems change, who changes benefit, and how we can intervene. Project: With clear evidence mounting that many human-environmental interactions have become “locked in” to unsustainable pathways, interest is increasing amongst resilience scholars and practitioners about transformations in linked social-ecological systems (SES). These transformations are expected to fundamentally alter human and environmental interactions towards sustainability. Existing frameworks for analyzing these shifts have emerged, but could be strengthened by incorporating theoretical and analytical concepts developed within social science. This paper specifically draws on three branches of social science literature focused on radical change - social movements, socio-technical transitions, and social innovation. 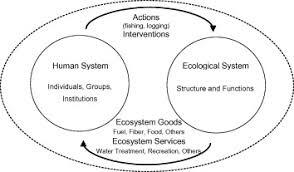 Combining insights from these sets of literature with existing social-ecological resilience frameworks provides a more rigorous definition of the core elements of SES transformations and a theoretical framework for analyzing such transformations. Take away: The findings indicate how the interactions between actors, governance systems, and ecosystem services will be altered within any transformation process. Additionally, the different branches of social science literature are useful for analysing different phases of the SES transformation and for understanding these multiple phases and how actors move among them. Future research will be able to utilize the framework as a tool for analyzing the alteration of social-ecological feedbacks, identifying critical barriers and leverage points, and assessing the outcome of social-ecological transformations. Project: The call for integrated social–environmental science, complete with outreach to applications and solutions, is escalating worldwide. Drawing on several decades of experience, researchers engaged in such science, completed an assessment of the design and management attributes and impact pathways that lead to successful projects and programs and to understand key impediments to success. Take away: Three principal lessons leading to successful efforts emerge that address co-design, adaptive or flexible management, and diversity of knowledge. In addition, five challenges for this science are identified: accounting for change, addressing sponsorship and timelines, appreciating different knowledge systems, adaptively communicating, and improving linkages to policy. Project: Resilience thinking is increasingly used not only as a theoretical framework, but also as a practical tool for managing and governing social-ecological systems at multiple scales. However, the application of a resilience framework may lead to undesirable environmental and social outcomes if it fails to critically engage with issues of social justice. In this paper, we combine a meta-analysis of peer-reviewed journal articles with a network analysis of article citations to understand how the resilience literature has thus far drawn upon social theory to address issues of power, inequality and justice. We follow this with a content analysis of key papers to identify specific opportunities for and challenges to integrating social theory into a resilience framework. Take away: Our results show increased interest in and integration of social theories in the resilience literature in recent years. We highlight several key papers and scholars who are actively working to integrate social theory with resilience, and provide a map delineating the types of social theory that are and are not represented in the resilience literature. By looking at past research, this review identifies future ways that resilience thinking can promote systems that are not only environmentally sustainable, but also equitable.